For Better Balance, Faster Rehabilitation and Improved Sports Performance. Improve physical fitness and overall health by engaging in balance, agility and mobility training. 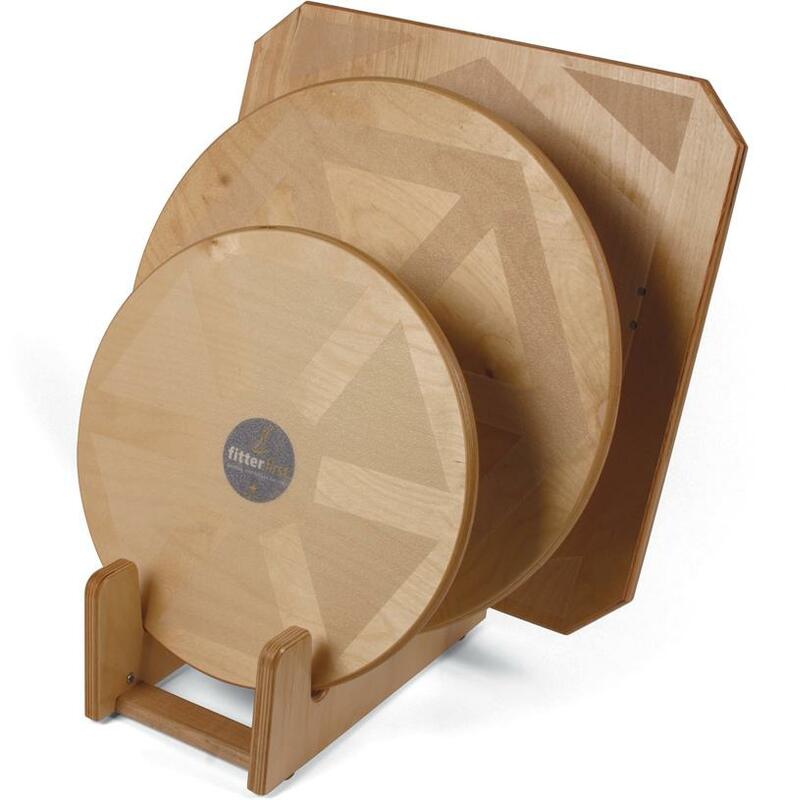 Professional series boards are made of a durable 3/4" Baltic Birch and feature a patented Tri-Level adjustment system, which allows for a quick and easy change to any of the three difficulty levels. Simply spin the sphere and select which setting suits your balance ability and in seconds you can be working towards better S.A.M. (Stability, Agility, and Mobility). 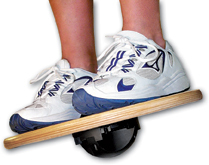 Unlike wobble boards, the rocker board allows for only one plane of instability and is therefore perfect for seniors or anyone new to balance training. Available as individual boards or as a kit. * Beginner 20" Rocker Board:14Â° tilt angle. * Intermediate 20" Wobble Board: 10Â°, 12Â° and 15Â° tilt angles.